Everyone has the right to a television in the United States. It is a right just like the right to practice the religion you want or speak your mind freely or publish news articles. Why is it a right? There is nothing in the US constitution giving the State the power to limit my access to a television. In fact, last time I checked, the word "television" does not even appear in the US constitution. And because the 9th Amendment says that we have rights even though they are not laid out in the Bill of Rights, I feel safe in saying that television is a right. However, contrary to what DNC Chair Tom Perez, "Progressive Democratic Socialist" Senator Bernie Sanders, Democrat House Leader Nancy Pelosi, former President Barack Obama, and just so very many media outlets say: something being a right does not mean "free" or even "taxpayer funded". If it did, the government would have to provide me a place to worship. It would have to provide me the means to publish my news articles. It would have to provide the devices necessary to practice my free speech as well as people wealthier than me (i.e. devices to use social media, access to a radio station, podcasting equipment, etc.) We have the right to bare arms. That doesn't mean I can walk down to my City Hall and ask for my taxpayer funded pistol. Quite the opposite. If I want to practice free speech on the largest platform available, my religion, journalism, or even own a gun, I must bare the costs myself or find someone who will pay the costs for me voluntarily. I also don't have the right to use the power of the State to compel private companies or organizations to allow me to use their platforms to practice my rights. Meaning the State cannot compel Facebook to allow me to post statuses. The State cannot compel a church to let me practice there. And it certainly cannot compel a private firearms dealer to sell me a firearm. And just as television is a right, that doesn't mean that the taxpayer is forced to pay for it, nor does it mean the State can compel Best Buy to sell one to me against its will. "We have the right to a public, taxpayer funded attorney," you might say. Of course! However, there is a huge difference. You are only entitled a public defense attorney in cases where the crime you are charged with could land you in prison or jail should you be found guilty. Meaning you are only entitled to a taxpayer funded service where the State is attempting to take away your most basic human right of self-ownership by making you the property of the State against your will and putting you into prison. I cannot go to the public defense office and expect them to read over a work contract for me pro-bono. If I am going through a divorce, the public lawyers are not required to represent me. "Okay," you might say. "What is a right, then?" Well, considering we are talking about rights in America, it seems prudent that we look all the way back to one of the most influential philosophers of our history, and the philosophy that provided the back bone of the founding of our country: John Locke. In his work "Second Treatise of Government", John Locke wrote that human beings are endowed with inalienable rights to their Life, Liberty, and Property. These are fundamental rights that the State cannot take away. The State has no moral authority to take away your life against your will. It has no moral authority to take away your liberty against your will. And it has no moral authority to take away your property against your will. According to Locke, a Right is an intangible thing, automatically owned at birth, that means the government can't interfere with things like your life, liberty, or property. In one of the founding documents of the United States, the Declaration of Independence, Thomas Jefferson says "We hold these truths to be self-evident, that all men are created equal, that they are endowed by their Creator with certain unalienable Rights, that among these are Life, Liberty and the pursuit of Happiness." Essentially the same implications of Locke. A right is something that no Government has the authority to take away against your will. 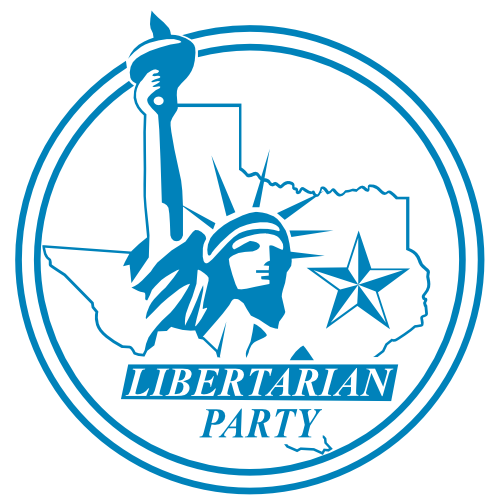 One of the founders of the Libertarian Party, Murray Rothbard, wrote in "For a New Liberty" that rights are based on the Nonaggression Axiom (Or the Nonaggression Principle, as it is now referred to): "That No Man or group of men may aggress against the person or property of anyone else." He then defines "aggression" as "the initiation of the use or threat of physical violence against the person or property of anyone else". In short, "everyone has the absolute right to be 'free' from aggression." So he too wrote that a right is something that no government has the authority to take away against your will. What does this have to do with my right to television? The State has no authority to prevent me from obtaining a television at any step of the way, so long as my quest does not involve an aggression by me against the property rights of another. The State has no authority to prevent me from being born and continuing to live. The State has no authority to prevent me from selling my labor to a willing purchaser and obtaining capital (whatever that capital may be: money, goods, etc) that I earn from selling my labor. The State has no authority to prevent me from finding a television owner that will voluntarily trade their television for my capital. And the State has no authority to take my television once the voluntary transaction is completed. A Right is not something that the government must provide to me at the cost of others. No person, nor group of people, is entitled to take the property, labor, or life of an unwilling or non aggressive person or group of people. I do not have the "right" to take the television from the owner of the television against their will for myself, nor do I have the "right" to have the State take the television from the owner against its will for me. As such, I do not have the "right" to the labor of the people of the healthcare system, and I do not have the "right" to have the State compel the people of the healthcare system to perform labor against their will. I do not have the "right" to take capital from its owner against their will to pay for my healthcare, and I do not have the "right" to have the State compel the unwilling owner to hand over their capital so that I may obtain healthcare. I do not have these "rights" because they violate the the personal and property rights of others. When politicians and activists say "Healthcare is a Right. Period." they are almost correct. The State does not have the authority, morally or constitutionally, to prevent you from obtaining healthcare at any step in the process. The State doesn't have the authority to prevent you from purchasing the labor of a willing healthcare worker with justly acquired capital. They don't have the authority to pass a law that bans your treatment. They don't have the authority to put a police officer outside of the hospital to stop people from going in for treatment. Why don't they have that authority? Because I have a right to get healthcare! Period. The State Official who promises to take the property of others to provide a good or service to you is one to be wary of. Because if they don't respect the property of others, they can't be trusted to respect the property you own. Not even the one piece of property everyone is born owning: your body. P.S. Now, I know what you're thinking: "Didn't you leave me hanging last time? Promising to tell me how government is behind the skyrocketing costs of healthcare?" And I did. But before we take that dive into all of those numbers, corporate subsidies, economics, and regulations, I wanted to rebuke the idea that "universal/single-payer/taxpayer-funded healthcare is a right". Because that's not how rights work. And I don't feel comfortable living in a country where the people with the monopoly on violence say that's how they work.